Mid-Century Modern with a BRAND-NEW A/C Unit and Energy Star windows/sliding doors. You will save on your electric bill! 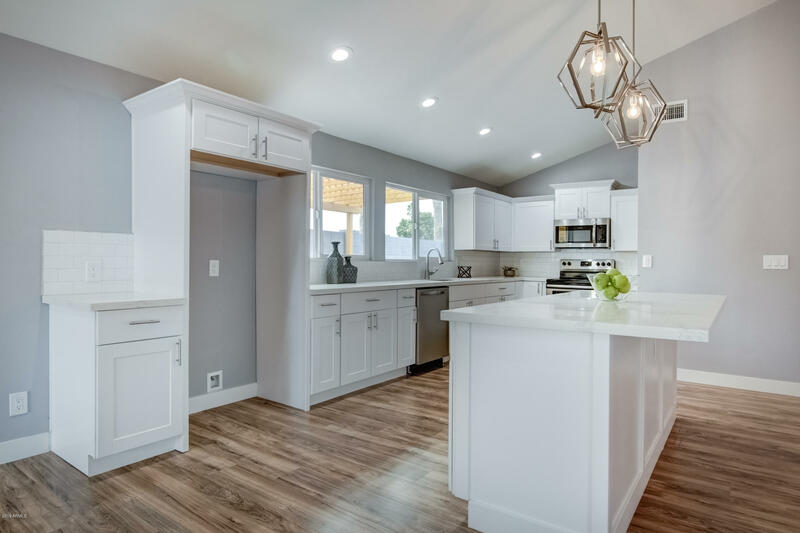 All new bathrooms with a modern design, custom tile work, 18' ceilings, large custom kitchen, brand-new appliances, Calcutta quartz counter tops and island. Gorgeous laminate flooring throughout and brand-new carpet in the bedrooms. Enjoy your morning coffee in the atrium that's open to the sky and lots of fresh air. The backyard boasts a new pergola, features a fire pit area and artificial grass, with rock surround. The plants and trees have a drip system on a timer so this is a no maintenance yard that will save you money. With the new paint inside and out this home truly shines. This will make a great home to live in or a profitable Airbnb.